Reaching out to as many people as you possibly can is the most important task when it comes to marketing your brand. This is not a very simple task. However, with everything becoming digitalised and almost everyone being connected through the internet today, social media has made marketing so much simpler. 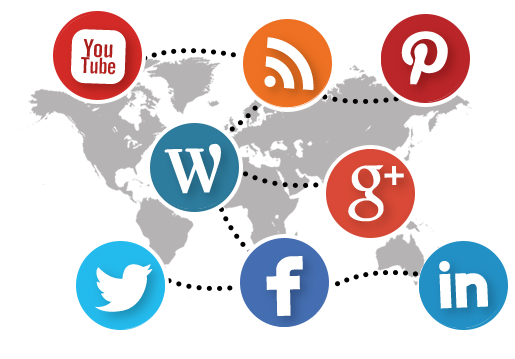 Social media marketing is a form of online marketing. It makes use of different social media platforms, like LinkedIn, Facebook, Twitter, YouTube and Google+, to market a product or service. These channels make it easy for you to meet the pre-defined marketing objectives or even to just create and manage your brand identity. If you are capable of proper communication through these platforms, marketing your brand identity will be a piece of cake. In order to create a brand or get your existing brand noticed, people need to know about it. Through social media you can encourage people to start talking about it so that it can reach a greater number of people since we all know that the reach of social media extends far beyond our physical reach. Once you have a clear objective in mind, the next step is to know the audience you wish to reach out to. Start to identify the right social networks where your target audience is most likely to spend time or hang out. Thus helping you engage your audience and improve your brand identity through these platforms. 3. Social Media Will Help Get Traffic To Your Website. Since social media marketing is a vital part of online marketing, it is easy to direct traffic from various social media to your website. For instance, by creating a Facebook page, it can help you promote a small or big business. You can also share updates about your business or inform your friends about your website in order to spread the word. Through social media you can get long term viewers and also build a reputation for yourself. By constantly informing your audience about things happening in your company, people will become more aware of your brand. You can also track the social networking statistics – check how many viewers which page gets and so on, and accordingly adjust your website to match what the audience would like to see thereby getting more viewers and improving your image. It is increasingly being noticed that consumers are no longer willing to be marketed to, they have queries that they would like addressed, they want to put forth their doubts and most importantly, they want to feel that they are communicating with people rather than a faceless company. Through social media, interaction is made easier and hence all doubts and questions can be addressed thus helping the image of your brand to remain safe. Lastly, visual media can have a great impact on your brand. Putting photos or small videos up on Facebook or Twitter was found to be very effective in getting the word out and boosting one’s brand recognition. When your media has a lot of likes and shares, it is certain to reach out to a larger audience. We see that social media is important in promoting your brand as it has the ability to influence as well as change customers and prospective customers’ views about your business. Positive recommendations and reviews will naturally have a better effect with how your customers interact with you and since social media websites have a global influence, you have the opportunity of promoting your brand to a larger, global audience.